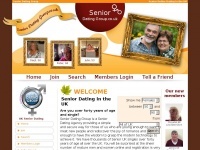 UK Senior Dating for the over 50's with the Senior Dating Agency. We help singles over 50 to find other senior singles in the UK for dates and companionship. Register and try it out for free. It's safe, secure and private! Partnership Dating is an Online UK Dating site that enables UK singles to find their perfect dating partner. Register for free. Dating Begins at 40 is the perfect place to find an ideal mature UK date - Registration to Dating Begins at 40 Dating is completely free! Welcome to Maturity Dating, the leading, mature dating website in the UK. Why not build your free profile & find that perfect someone today? 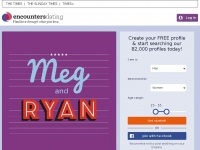 Find like-minded singles on Encounters, a leading UK online dating site. It's free to create your profile and see your matches. Football Lover Dating, an online dating site for football singles, players and footy fans in the United Kingdom. Join today for free and meet your footy match! Scotland Dating Group where you can find thousands of singles online in Scotland. Initial Registration is quick, completely free and remarkably painless. Ireland Dating Group where you can find thousands of singles online in Ireland. Initial Registration is quick, completely free and remarkably painless. 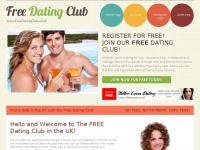 EliteDatingAgency.co.uk is the perfect place to find wealthy, elite singles online. Join for free and browse thousands of members today. Find love and companionship with single parents, online, today!